Ten years after Apple effectively created a viable, high-end mobile graphics business for Imagination Technologies--and a year after the iPhone maker publicly declined to acquire the company--the British graphics technology firm now appears to be in full panic mode that its mobile technology may end up abandoned like MIPS, PowerPC, Nvidia's Tegra and Texas Instrument's OMAP. Imagination develops silicon intellectual property reference designs for mobile graphics processors that are then customized and built by licensees, typically as part of an Application Processor. 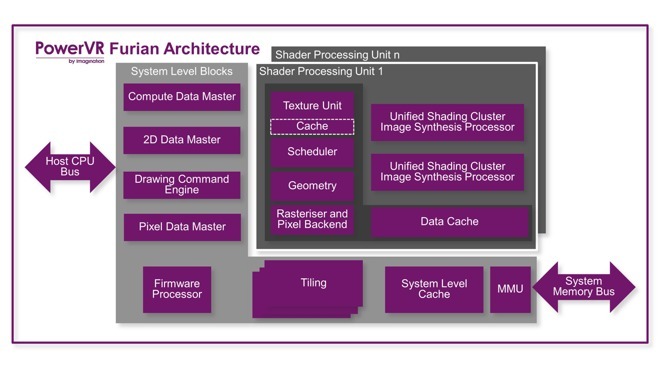 Apple has licensed Imagination's PowerVR GPU technology in all of the A-series chips used in its iOS devices and Apple TV, as well as in the S-series chip package inside Apple Watch. (Apple's Macs use GPUs from other sources, including the Intel graphics built into Core x86 CPUs, as well as dedicated GPUs from AMD and Nvidia). Apple contributes about half of Imaginations licensing revenues, so if future iOS devices replace the design firm's PowerVR graphics with a GPU developed within Apple (as Imagination declared today), it would obviously be devastating for the chip design firm (just as it was for PortalPlayer when Apple abruptly stopped using its chips in iPods). Its not just Imagination that would suffer from the loss of Apple's GPU business. As Apple shifts to its own GPU technology, the licensing revenues that are supporting Imagination will collapse in half, forcing competitors to look elsewhere for advanced GPU technology. Imaginations ostensibly promising, next-generation Furian mobile GPU technology was expected to debut over the next two years. However, without premium, mass market products to drive its adoption and pay for its ongoing development, it would appear poised to suffer the same fate as other highly-regarded but commercially unviable chip architectures such as Texas Instruments OMAP, Nvidia's Tegra, IBMs PowerPC, Sun Sparc and the MIPS CPU architecture that Imagination acquired in 2013. A major problem for Apple's established mobile device rivals--as well the potential for a smaller disrupter seeking to emerge--is that advanced GPU technology is capital intensive to develop; it generally requires long-term investment, sustained by reliable, high volume sales. GPUs also involve a minefield of intellectual property patents. These factors previously prevented AMD and Nvidia from facing much competition in desktop GPUs. Apple's focus on premium, high-end mobile devices has driven a relentless push in mobile graphics sophistication. By investing in Imagination--or licensing its technology, as most other chip fabs have--other manufacturers have benefitted from Apple's funding of PowerVR GPU development, paid for from its iPhone and iPad revenues. That obviously ends if Apple moves the iOS GPU ecosystem inside. Powerful graphics capabilities have been a differentiating feature of Apple's mobile product lineup since the iPhone first appeared in 2007, driven by a Samsung chip incorporating Imaginations PowerVR MBX GPU paired with an ARM CPU general processing core. Putting a powerful GPU into a mobile phone targeting mainstream users was a key part of Apple's iPhone strategy, following the same accelerated graphics compositing concept that macOS Xs Quartz graphic layer had used to differentiate Macs from Windows between 2001 and 2006 (when Microsoft belatedly released Vista with a comparable modern graphics architecture). The popularity of iPhone--fueled in part by its fluidly animated, GPU-accelerated user interface--helped establish Imaginations unique approach to GPU design at the top of the mobile market. Apple's iPad also created a Mac-sized new market for tablets with an even greater demand for powerful, efficient mobile GPUs than phones. In the same way that Apple telegraphed for years its intent to move its A-series chip production from Samsung's LSI fabs to Taiwan's TSMC to take advantage of the latters superior fab technology, Apple has also left plenty of breadcrumbs spelling out an intent to develop its own GPU technology. Across the seven-year span of proprietary ARM CPU core development in Apple's A4 through its latest A10 Fusion chip, the company has introduced a series of major CPU architectural advancements, notably including the jump to a 64-bit architecture in 2013s A7. While Apple has apparently also made some customizations to Imaginations reference designs on the GPUs side of those chips, it appears to have more closely followed the firm's public PowerVR roadmap, at least in hardware. 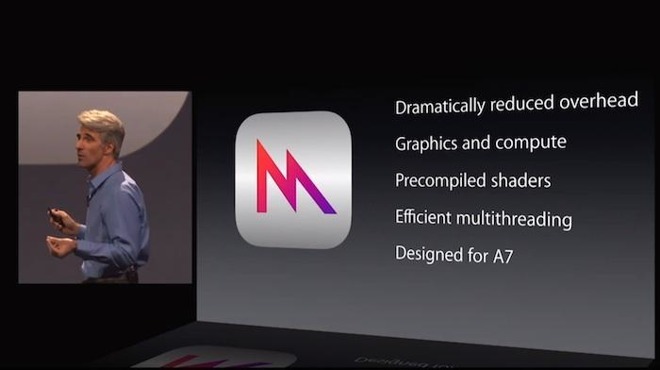 In 2014, Apple surprised developers with Metal, a new low-level, low-overhead API for iOS apps to more efficiently schedule graphics operations, reducing the load on the CPU while taking fuller advantage of available GPU cores. The next year, Apple subsequently brought Metal to the Mac, demonstrating that the technology wasn't tied to Imaginations GPU but could also work on GPUs ranging from the Mac Pro's workstation-class AMD FirePro to notebook-class Nvidia GeForce and AMD Radeon GPUs in MacBook Pros and even basic Intel HD graphics in entry-level iMacs, Retina MacBooks and Mac minis. Any illusion Imagination may have had that Apple was content being dependent upon its GPU designs for iOS devices should have been dispelled by Apple's reputation for switching back and forth between AMD and Nvidia GPUs on Macs, enabled first by OpenGL and then by Metal. Further, following Apple's acquisitions of PA Semi in 2008 and Intrinsity in 2010--which both contributed to the company's internal chip development team--the company branched out from custom ARM CPUs design in buying flash memory chip designer Anobit in 2011 and in the 2012 acquisition of fingerprint sensor designer AuthenTec. Apple established silicon research and design offices in the Scientific Industries Center in Anaobit's headquarters in Haifa, Israel, as well as setting up a Melbourne Design Center in AuthenTecs high tech corridor near Orlando, Florida, apparently focused on perfecting Touch ID. In 2012, Apple reportedly began hiring away Texas Instruments engineers located in Haifa and the Herzliya Pituah region of Israel. In addition to working on WiFi, Bluetooth and GPS silicon, TIs Israeli campus also developed OMAP, the Applications Processor Google had focused the development of Android 4.0 upon, and Amazon used for Kindle Fire. Like Apple, TI used PowerVR GPUs. Facing bleak demand, TI abandoned future development of OMAP in 2012, erasing a significant and reliable source of competitive hardware from Apple's rivals. In early 2013 Apple was similarly found to have hired a dozen former AMD graphics engineers working near Orlando. Apple also began posting job openings in Florida for positions including a reference model engineer who would specialize in "modeling GPU hardware." Other listings made mention of running iOS on "pre-silicon platforms." Additional references were made to an Orlando GPU team seeking additional job applicants with experience in leading "high performance GFX (or equivalent complexity) IP development teams." 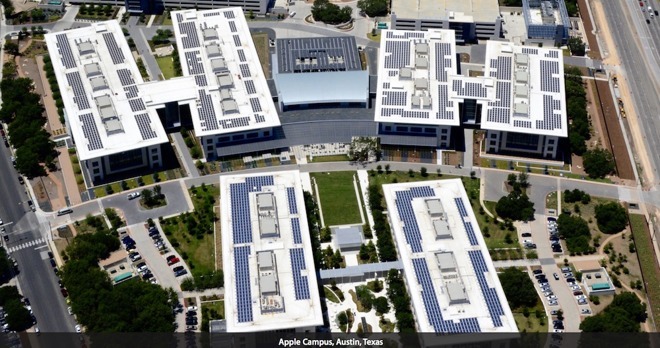 In 2014, Apple was noted to be among companies "recruiting very aggressively and successfully from IBM and other struggling chipmakers like AMD and Freescale," particularly around IBMs fading facilities in Austin, Texas (where Apple has since established a major operations center, below). In 2015 AppleInsider noted additional sources of rumors that Apple had been actively working on an internal mobile GPU design "under extreme secrecy for a few years." In March 2016, Apple reportedly engaged in "advanced talks" with Imagination regarding a potential takeover. At the time, Apple owned about 10 percent of the company, while Intel owned an even larger stake. Apple did not make a formal offer to buy the company. 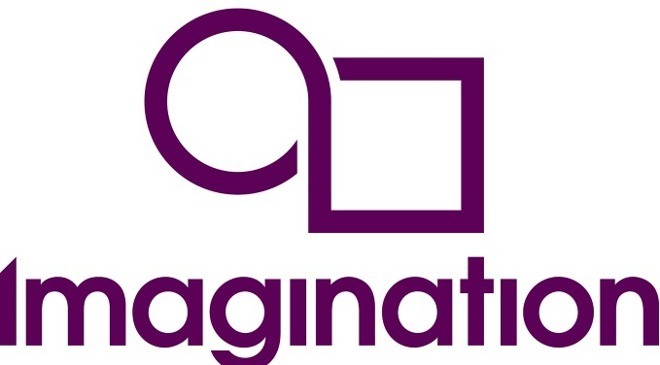 Buying Imagination for its GPU team and designs would involve divesting parts of the company unrelated to GPU development. It would also likely result in an abandonment of half of the group's revenues. Once acquired, nothing would stop Imaginations talent from leaving. Instead, Apple continued its pursuit of Imagination talent. Last October, AppleInsider reported that Apple had hired away at least 25 employees from Imagination over the past two years, aligning with earlier rumors of an internal mobile GPU effort. Imagination is apparently aware that Apple had been investing years of efforts into its own GPU designs, and is certainly aware that Apple has been recruiting away its talent over the past two years. The firm's disclosure stated that Apple is "its largest customer" and had notified it that "it will no longer use the Group's intellectual property in its new products in 15 months to two years time." This appears to outline that the transition would require a new contract, given that once Apple begins using own technology it will dramatically scale back the volume of IP it is still required to license. Imagination expressed skepticism in Apple's "assertion" that it "will no longer require Imaginations technology," stating that it "believes that it would be extremely challenging to design a brand new GPU architecture from basics without infringing its intellectual property rights." Apple has similar issues with Qualcomm, which it is now suing over licensing issues--described as extortion, monopolistic practices and price-gouging--related to baseband mobile technology. However, Apple pays Qualcomm billions of dollars per year, while its licensing costs related to PowerVR GPUs is less than $100 million annually. This suggests that Apple's move away from Imagination--a company it has a small vested stake in--is not driven by costs as much as a desire to move to radically new technology that Imagination itself couldn't deliver and that Apple doesn't want to share with its competitors.